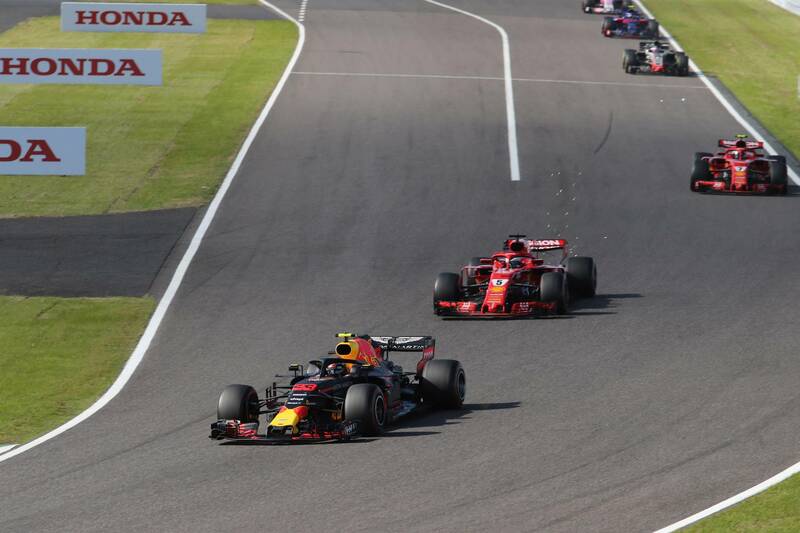 Vettel's attempt to pass Verstappen at Suzuka may have all but ended his championship hopes - but he was right to go for the move, writes Luke Smith. It was perhaps fitting that a quote from Ayrton Senna, a driver with whom the Suzuka circuit is so synonymous, came ringing back during Sunday’s Japanese Grand Prix. Alas, it was not the result of a stunning or inexplicable overtake the Brazilian would have been proud of. Instead, it was because of a move that appears to have all but settled the fight for the Formula 1 drivers’ championship in 2018. On Lap 8 of the race, Sebastian Vettel tried to overtake Max Verstappen on entry to Spoon, diving up the inside of the Red Bull driver. The two cars touched, with Vettel being sent into a spin that caused him to drop all the way down to 19th. His title hopes which were already hanging by a thread arriving in Japan had entered freefall. Vettel fought his way back up the field to finish sixth, but with title rival Lewis Hamilton going lights-to-flag for his sixth win in seven races and extending his points lead to 67 with 100 still available this year, it proved to be the decision that sounded the death knell for his championship aspirations in 2018. Views on Vettel’s decision to try the overtake at Spoon were soon circulating social media from fans and pundits alike. Had he caused the crash by being too bold? Or had Verstappen turned in on him? The stewards had a look at the incident, but deemed neither driver to be wholly or predominantly responsible for the clash, meaning there was no further action. He’s correct. There was a gap. He went for it. It didn’t work. And while hindsight obviously says it was the wrong call, at the time, Vettel was totally right to go for it and try to make the pass. “I went for the gap that was there, and as soon as Max saw that I was side-by-side, he tried everything to squeeze me, but didn’t give me any room,” Vettel said, explaining his side of the incident. Ferrari’s qualifying blunder on Saturday left Vettel eighth on the grid, but he was already up to fourth by the end of the first lap after a superb start. After picking off the Toro Rossos early, he showed he was planning to use Spoon as an overtaking point early, sweeping around the outside of Romain Grosjean there on the opening lap. He then passed Kimi Raikkonen in the sister Ferrari after the Finn was pushed off-track by Verstappen, with the Safety Car then bunching the cars following Kevin Magnussen’s puncture. Verstappen was swiftly hit with a five-second time penalty for the incident with Raikkonen, meaning Vettel would surely get the jump when the Dutchman served it at his pit stop. So when the collision happened, the natural question was why the rush? Why didn’t Vettel just bide his time and either gain the position at the stops or, given the added grunt of the Ferrari engine compared to the Renault in the back of his rival’s Red Bull, make an attempt on the run from the exit of Spoon, through 130R and into the chicane? “How many times you can afford to wait?” Vettel asked rhetorically. “Obviously, I am racing not just him. I’m racing also the guys in front ideally. “His battery was derating, I saw the light flashing. I saved up my battery on the way up through the Esses, trying to stay close, had a good exit from the hairpin and had a big tow through Turn 12 and was side by side when we hit the brakes and turned in. The giveaway line in Vettel’s mentality is “I’m racing also the guys in front ideally”. He wasn’t racing to beat Verstappen at Suzuka. After all, that would do very little good for his championship hopes. He knew he had to beat the Mercedes drivers on Sunday - and that is why he was willing to give it everything in his charge to do so. Even just a few laps behind Verstappen would have been a huge blow for Vettel’s hopes of winning at Suzuka. The Mercedes drivers were running in formation, Hamilton ahead of teammate Valtteri Bottas, and thanks to the Safety Car, both were within realistic reach. Regardless of the pace difference between Mercedes and Ferrari, he could still have been in range to strike (case in point: how close Verstappen got to Bottas). “I think I had quite a good feeling on the opening lap and the car was working well and then I was faster than Max, but it was difficult,” Vettel said. Isn’t this gutsy ‘go-for-the-pass’ attitude what we crave from our racers? That if there’s a chance to make a pass, particularly with a championship on the line, they go for it instead of just holding back? The move was a bit desperate, yes - but Vettel had to be. The championship was getting away from him, and he needed to clot the points loss to Hamilton sooner rather than later. 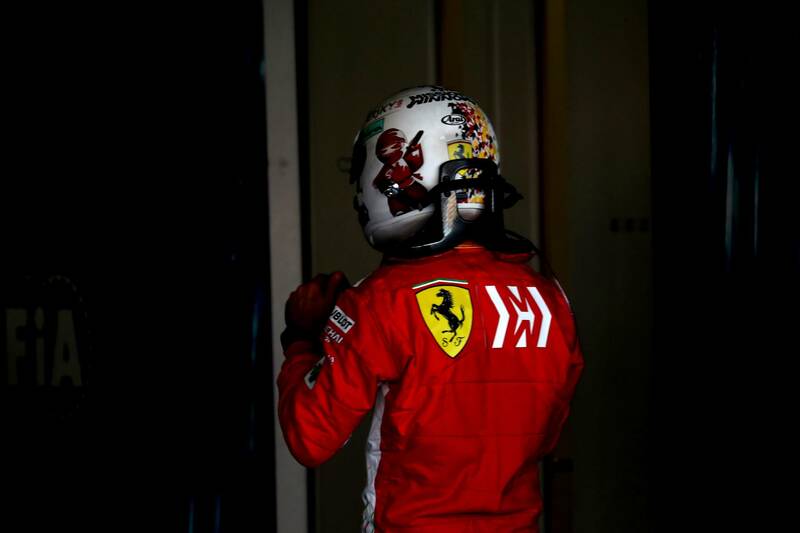 But much as he did 12 months ago, Vettel will be leaving Suzuka on Sunday night knowing his hopes of an elusive fifth title and the poignant first in Ferrari colours he so craves are all but over for another year. In seven races, he’s gone from an eight-point lead to a 67-point deficit. At least Vettel can say he gave it a go, though. He didn’t throw in the towel or lay down accepting that Mercedes was just the faster car, and that resistance was futile. He went for the gap. The coronation of King Lewis V will now be in the final planning stages, with a Mercedes one-two in Austin in two weeks being enough to seal the crown. For Vettel and Ferrari, 2018 will go down as another missed opportunity. But to say his move on Verstappen at Spoon was the moment the title was lost is unfair. If anything, it was where he proved he’s still got the fight left in him.